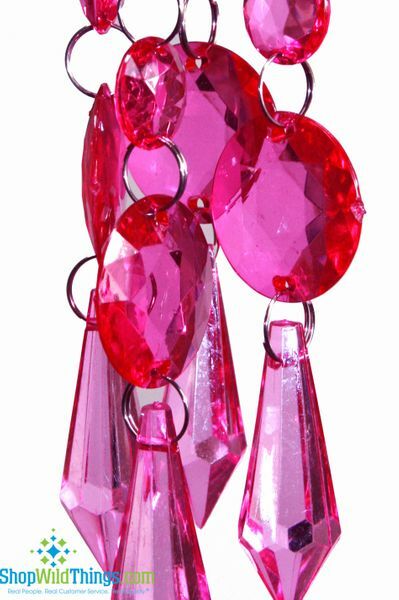 Each FUCHSIA round bead is faceted all the way around so that it catches the light very nicely. The jump rings that attach one bead to the next are silver. Garland was exactly as pictured. Works very well for my setting. ProsCan be kept long or be shortened. I love these and my only problem is deciding where to hang them. I am almost tempted to buy more so I can hang them all over my house. 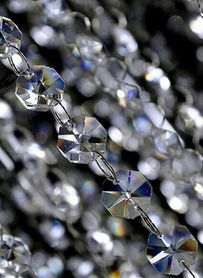 They shine like crystal and are very pretty.